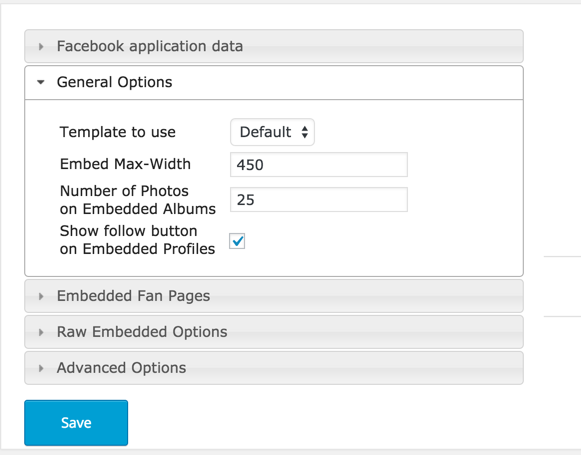 How To Embed Facebook Photo Album in WordPress? How To Embed Facebook Photo Album in Your WordPress Blog? Are you looking for a solution to embed Facebook Photo Album from your FB page into your blog? And, why you should not. It’s a great way to get more likes on your album, increase the natural reach of your uploaded photos & moreover it gives better ROI in the certain scenario. Even though I highly recommend you to upload photos on your hosting account, but in certain cases like events, bloggers meet, seminars where you have huge number of photos, you are better off uploading them on 3rd party site. Recently, I conducted a series of Bloggers meet in India (ShoutMeet), and after every blogger meet, I had about 30+ photos from that event to share. Of course, it comes with certain limitations as images are not uploaded on my server. I need to keep a check in future if embedded album is broken or gone due to the plugin or WordPress update. So, I mentally prepare myself for this & found two WordPress plugins to embed Facebook albums, profiles in WordPress. Both of them used the shortcodes & were easy to configure. I will feature one of them which is the best & offers more feature than the other one. Before trying this amazing free plugin, I tested Facebook Album plugin that is good but it got some issues with UX, especially on the mobile phone. 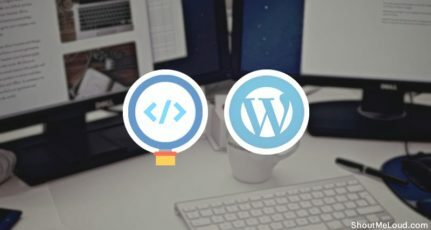 In search of a better alternative, I tested WP Embed Facebook plugin, which turned out to be a better option with more features. This is a free plugin & can be downloaded from here. Here are supported embeds by this plugin. Ensure it works only with those data which is shared publically. Once you have installed & activated the plugin, go to Settings > Embed Facebook to configure the plugin settings. The only major setting you need to do is: Add your Facebook App ID & Secret Key under Facebook Application data settings. You can follow this easy tutorial to get one for your application. Once you are done configuring all the settings, click on Save. Now, it’s time to embed a Facebook album or a Fan page or Event page into your WordPress blog post or page. This plugin claims that you can directly paste the album URL & it would embed the album. Surprisingly, that didn’t work for me & I had to use Shortcode, which was also a straight forward process. This is the shortcode you need to use. Play with width size to meet your requirement. You just need to add the URL of your Facebook page, Album, Event page in the shortcode above & this plugin will automatically embed it in your WordPress blog. 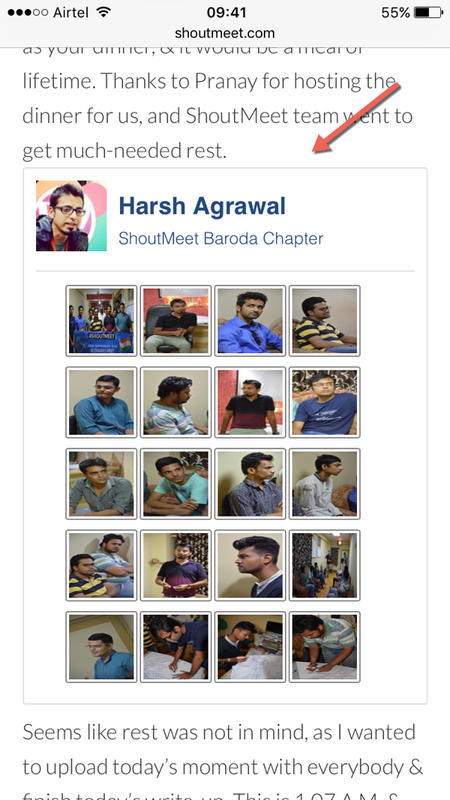 You can check a live example of embedded Facebook photo album in WordPress here. You can use this plugin in multiple scenarios & especially bloggers who go to the events like Bloggers meet, tech launch events or seminars, they can leverage the features of this plugin in much better way. I would love to hear more ideas and thoughts of using this plugin to market your Facebook page on your blog. Do share your creative ideas in the comment section below. Hi, Harsh, Thanks for this informative post. I was also wondering how to embeded Facebook albums to my blog post and this post really helps me a lot. Glad it helped you. 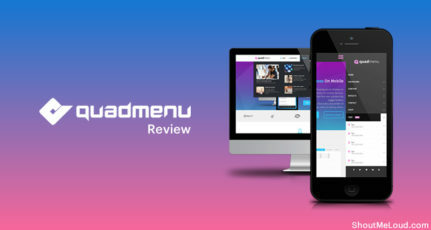 Welcome to ShoutMeLoud. Can I use my FB pic to show them in my blog ? like featured image or the images which came middle of my blog ? You need to upload the image on your blog. That would be better in your situation. Again you written Great article ….Elite class blogging by Harsh Awesome. But what is “Facebook Publications” i did’t use this option ever can you please tell me about this how to use this option. Thanks for sharing. Which option (Facebook publications) are you talking about? I’m not sure of what you are asking. Hi Hrash. Thanks a lot for helping me. Actually recently i face problem to add photo albums to my blog. I applied your system and it’s really work. I am very happy now. Harsh this really a great information. I din’t now about embedding facebook album on blog post. Thanks man. What could be the best way to embed flickr photo albums in the site. Specially how can we make them look like a tiled galleries, the way they are visible in flickr’s photo stream ? I shared this on my Facebook wall 😉 Neat way to bring my travel pictures to my blog. I’ve saved so many to my Facebook account, 1 by 1. Now it’s time to maybe showcase a trip or 2 to connect better with my audience. Thanks for this Harsh. I think this is also helpful for people selling stuff in their blogs but all products are listed in their FB account (sites with no shopping cart). Another Awesome Post Harsh! Never tried anything unique like this. Maybe I will try this in my next post! Thanks for sharing another excellent tutorial about embedding Facebook photo album in WordPress blog. Well your step by step guidance make it easy for bloggers to go through. I checked it out, bro. It is looking awesome. You always put some creativity in your work so that you can present in an easy way to your readers. I am practicing the qualities you have. You are a super energetic bloggers in India. Hope I will meet you again. I will use this plugin on my blog. Hope it won’t break the CSS of my blog. I don’t think it would interfare with your existing blog design. Thanks for your kind words. Hope to meet soon! I can’t promise that as I use WordPress & find it always better than BlogSpot. 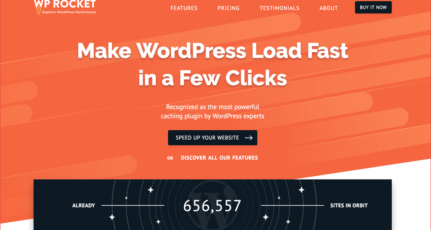 Why don’t you move to WordPress when everybody else is doing the same. Wondering why? This is a great idea to promote a Facebook photo album and add key images to your website. Best of all, it sounds simple to execute. Awesome! But when i embed an album, the image that pops is a lot smaller than the original. If i open it in a new window there is this: s720x720 in the url. If i remove it, i can see the original HD image. The lightbox uses the s720x720. How can I remove that? Any clues?